The Greek champion beat her best friend Zorana Arunovic in the final duel for gold. 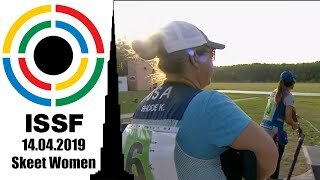 At the last world championship she won a junior title, today she’s the best pistol shooter of the world. 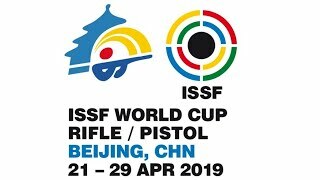 The 2016 Olympic bronze medalist climbed on the highest step of the World Cup podium for the third time in her career, winning the women’s 10m Air Pistol event and finishing 3.6 points ahead of Serbia’s Zorana Arunovic, who then secured the silver medal. Thailand’s Pim-On Klaisuban completed the podium in 3rd place. 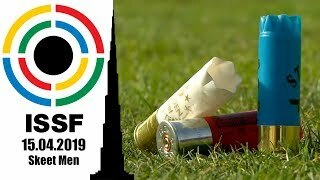 The Rio 2016 gold medalist climbed back atop the podium in this event for the first time since the Olympics, preceding Germany’s Doreen Vonnekamp, who took silver, and 20-year-old French shooter Mathilde Lamolle, who won bronze. 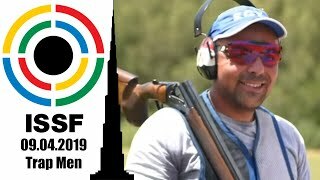 The Greek 21-year-old finally climbed atop the ISSF World Cup podium, after having collected Gold medals at the Olympic Games and in many other ISSF competitions. Ukraine’s Olena Kostevych finished in 2nd position, while China’s Lin Yuemei claimed the Bronze. 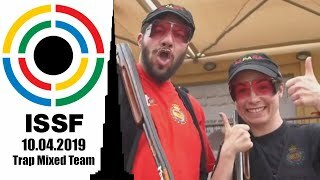 Today’s 25m Pistol Women Final at the ISSF World Cup Final in Bologna has been conducted following the new 2017 ISSF Rules. Greece’s Anna Korakaki, the Rio 2016 Olympic Champion, won the match with 7 points of advantage on her followers. The 20-year old shooter won Greece’s first Rio 2016 Gold just two days after claiming the air pistol bronze medal. Monika Karsch of Germany finished in second, Switzerland’s Heidi Diethelm Gerber in third.